Our first 'I am the Guard' report is on the Air National Guards Combat Training Readiness Center at Volk Field ANGB, Wisconsin. 'Sharpshooter' visited Volk in August, 2001. 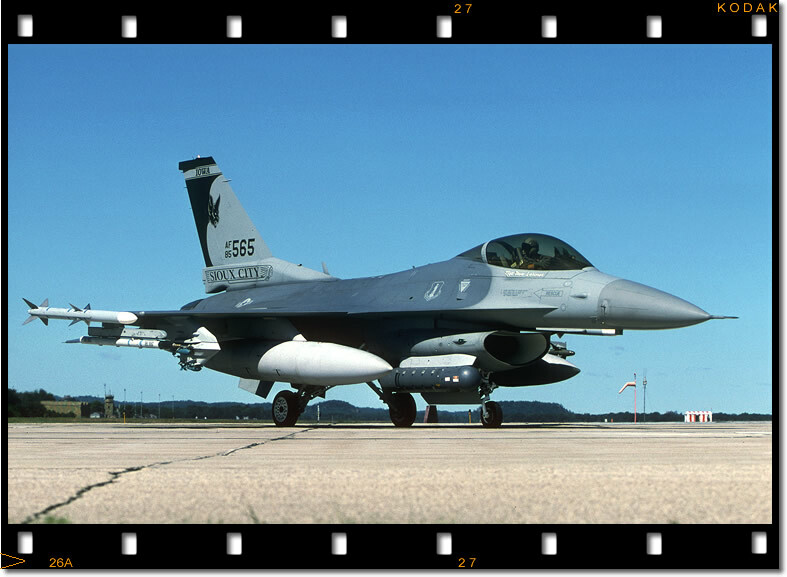 In residence at this time was Ten F-16's from the 174th Fighter Squadron, better known as the 'Bats'. Here 85-1565 - callsign 'BAT 41' - holds short of the Runway before departing on an Air-to-Ground training mission.